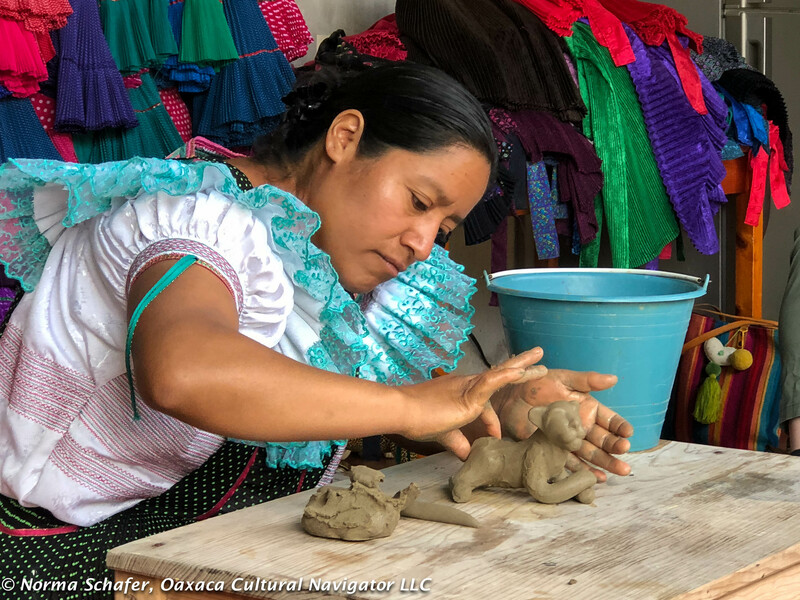 This entry was posted in Oaxaca Mexico art and culture, Oaxaca travel, Travel & Tourism and tagged bargaining, buying behavior, class, cost of artisan goods, discounts, economic disparity, haggling, Mexico, prices, race, shopping, social disparity. Bookmark the permalink. I never bargain when buying from an artisan or a vendor of artisan made items. I am a maker and know thatit’s almost impossible to be compensated for the time and effort that goes into the making of a handmade piece. However, I rarely buy on impulse; preferring to give myself time to determine if I truly want something. So therein lies a dilemma, as when I walk away after considering a piece, the seller invariably lowers the price, thinking that I am “playing the game”. I’m not, but what is the right way to respond? I may or may not end up returning to purchase the piece and honestly I may think the price fair but too expensive for my budget. I’d like to hear your thoughts. I’ve had that happen to me, too. It’s more that I may be interested in comparative shopping at the moment or just looking at something that catches my eye but I’m not ready to buy, and then when I turn away, the price comes down. So, I turn back and say, no thank you, I’m just looking. Gracias, no. Horita, solo mirando. I smile, and then move on. I think that’s the best you can do. Keep in mind that you’re earning on one economy, and spending on another. So if you go into a location and overpay the rent or the food, or whatnot, you’re also subtly, but in a very real sense driving up the cost of living for the locals. This is true where I live in a tourist area in the U.S., where New Yorkers come and bid up the real estate to where locals can’t afford it, to Cuenca, Ecuador, where I’ve spent a good deal of time, and the expats think is super cheap, while the locals say they can’t afford living there anymore. There are also levels of privilege within the tourist community. If the locals know that most foreigners will pay the asking price, and drive it up as a result, there might be backpackers and those of more limited means who go home without the handicrafts. Yes, Michael, true enough that most foreigners living in Mexico are converting dollars to pesos and living much better for less on an income we would have a hard time getting by on in the USA. I remember when people sold high in California, moved to Oregon or Washington State, paid asking price, drove up real estate and locals complained. Many were forced to move. It’s happened in San Miguel de Allende, and it’s happening in historic Oaxaca Centro where rents are climbing for everyone. From my experience, most backpackers are not interested in schlepping around collectibles, so I think we can eliminate them from the equation. Those with more limited means can always find something beautiful and meaningful. We are not talking about expensive items for the most part. We are talking about the practice of bargaining for artisan handwork at whatever the cost. So financial wherewithal has very little to do with it in my opinion. I think what we need to be addressing is the respectful relationship between buyer and seller, fair trade, fairly priced art and craft, and the economic opportunity for indigenous people. It people were compensated fairly for their labor and talent, they could afford to pay for decent housing, get access to education and healthcare, and feel greater pride in their own talents and capabilities. I appreciate your comments. We need to have an open forum to talk about these issues. We live in Mexico and I recall MANY years ago in my youth that bargaining was expected and very much a social engagement. However, times have changed and I am always willing to pay the asking price if it is fair and in recognition of the artisan work involved. Glad to read such a good article and hope it wakes up people who want beautiful crafts but are unwilling to measure the cost to the people who make them. Thanks for sharing your experiences and perspective of change. I sense this, too, after hearing from everyone, that many people are feeling that bargaining is no longer acceptable or encouraged. Perhaps the hierarchy is breaking down and we are more aware of not participating in the game. I have bargained only once, maybe 20 years ago, and the craftswoman shamed me gently by saying, “but this took me a month to make.” It was a beautiful crocheted vest, and you can’t find them anymore. I’m really annoyed at people who want to get good work for cheap. Let’s not invite Chinese mass market stuff into Mexico, and let’s honor true Mexican crafts. Hi, Kate, thanks for this. Another great point: looking for cheap cheapens the marketplace and invites Chinese knock-offs, yes, even in Mexico. 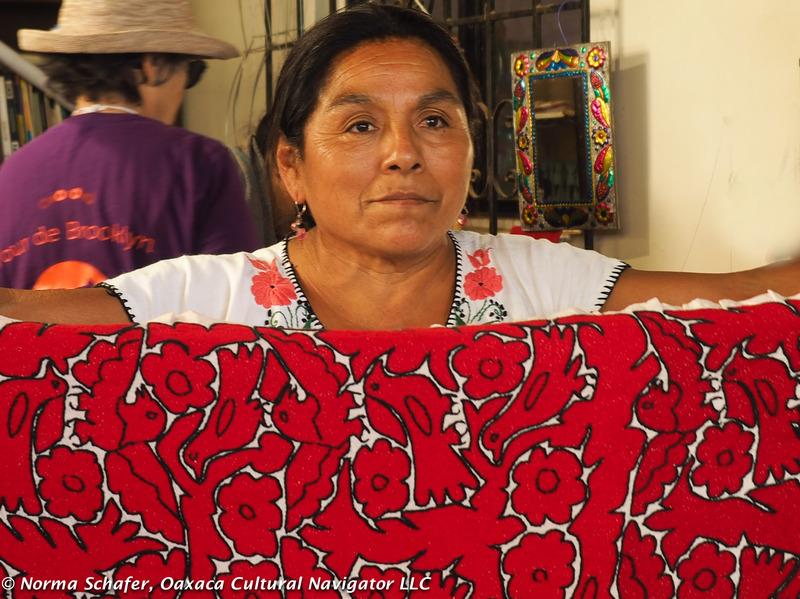 I never bargain in Oaxaca, most especially with artisans. I want to honor their work and experience. I’m a painter in the states and I can’t belive how often people, even friends want me to essentially paint for free. They don’t t consider my training cost of materials , cost of time. I know if people thought about it a little more they might purchase fewer things but they also wouldn’t collect junk made for tourist centers. And…artists would be grateful . Spending a bit more for best quality and purchasing less makes great sense. Thanks, Jenny, for sharing this. A number of years ago I was just starting out on a tour when our guide, who escorted us from Canada, gave us a little lecture about bargaining. The gist was: pay what is asked. The dollar you save means nothing to you but is worth a lot to the vendor. I was relieved because I hate bargaining anyway and always happily pay whatever is asked as long as I would not pay less for a similar item back home. On my last trip to Oaxaca I was given a discount several times that I didn’t ask for. One of my travel companions always asked for a discount and was only successful once. Maybe vendors are attempting to train tourists not to ask. I hope so. Norma, maybe you will have a column on tipping in the future. My friends and I do not agree on what is an adequate tip or even whether we should tip in certain circumstances. Thanks for your opinion on bargaining. 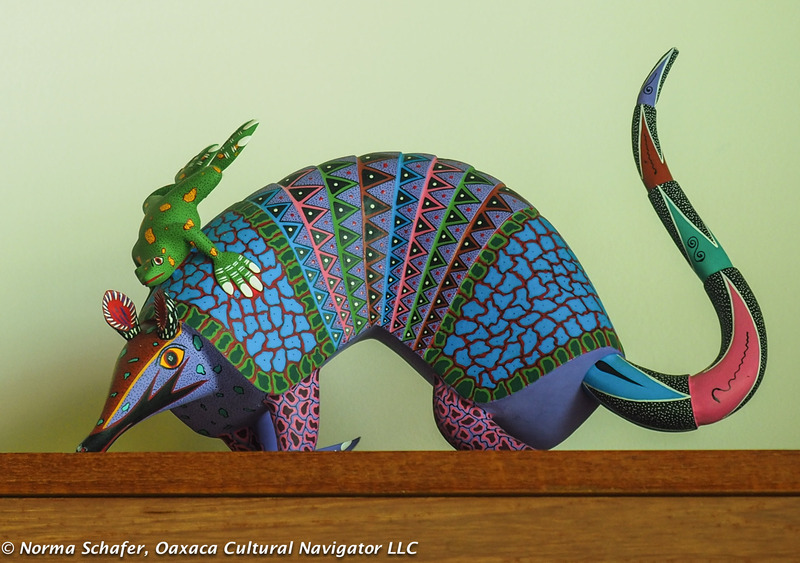 I am always happy when I see an email from the Oaxaca Cultural Navigator in my Inbox. What a great idea, Pauline. Yes, what to tip is another conundrum fraught with controversy. Most Mexicans, even the upper class, leave scanty or no tips. Do we follow in their footsteps? Sometimes I see 10 pesos put on the table after a lavish dinner. Indeed, a terrific blog topic. Thank you. I agree with you completely! Not for one minute do I believe that a textile artist doing comparable work in the USA, Canada or Europe would charge so very little for her work. I believe that we live well because others don’t and this inequality and lack of respect for our Indigenous sister textile artists and other Indigenous artists has got to stop. Another issue of very big concern to me is the appropriation of the traditional techniques of Indigenous artists. It is a huge issue here in Canada – and in Peru where I travel often – and lots has been written about it should anyone be interested in receiving the resources. Thank you very much, Norma, for raising this issue so well and without apology. All respect to you. Sasha, I think the point you raise is so important — that we live well because others don’t. We employ their labor and talents and do not compensate. And, I always talk about cultural appropriation of textile designs on our study tours because designers have no boundaries, give no attribution to individuals or groups whose cultural heritage and stories are incorporated into the cloth. I’ve written about this. Maybe it needs more. I sincerely appreciate your comment. It came directly to my heart. I much prefer to buy directly from the artisan in the place where they live. I honestly don’t see how you can look in face of of someone who who who is so talented and works so hard to create a something of great beauty and ask them to discount an item that is already priced below it’s true worth. Their creations feed my soul and I happily pay the asking price. Judie, your comment brings up for me the question about what people FEEL when they bargain in relationship to the person, the real person, the individual, standing or sitting on the other side of the table so to speak. How do folks bring themselves to ask for a discount when something is really already fairly priced or priced below it’s true worth? And, to know “true worth” we must take into consideration so many other factors aside from time and raw materials. Thank you for contributing. I honestly don’t like bargaining because I’m an introvert and have some social anxiety issues. When we went to Guatemala in 2006, I had to push those boundaries- almost all of the artisans I bought from *expected* a certain rote amount (price from them, counteroffer from me, counteroffer from them, I agree) of bargaining; we seemed to be focusing in on the artisan’s actual asking price by a socially important ritual… this was confirmed by at least one local source. In Mexico (Oaxaca and other places), I never felt that way; I generally paid the asking price and everybody was happy. IIRC, I felt like I was paying a fair amount in both cases. At any rate, I like to pay the ask, to support the artisans and their wonderful work. Hi, Hugh, yes, to bargain one has to put oneself “out there” and be willing to do the banter necessary to make the deal. I think it requires a fair amount of ego and insensitivity. I’m not sure this is a comfortable stance for most of us. I’m happy to hear from you and many others, that times, they are a ‘changin’ Thank you for supporting artisans and being comfortable in the process. We recently returned from a trip to Guatemala in which I spent quite a bit of money on unique quality hand crafted things. I did not bargain. 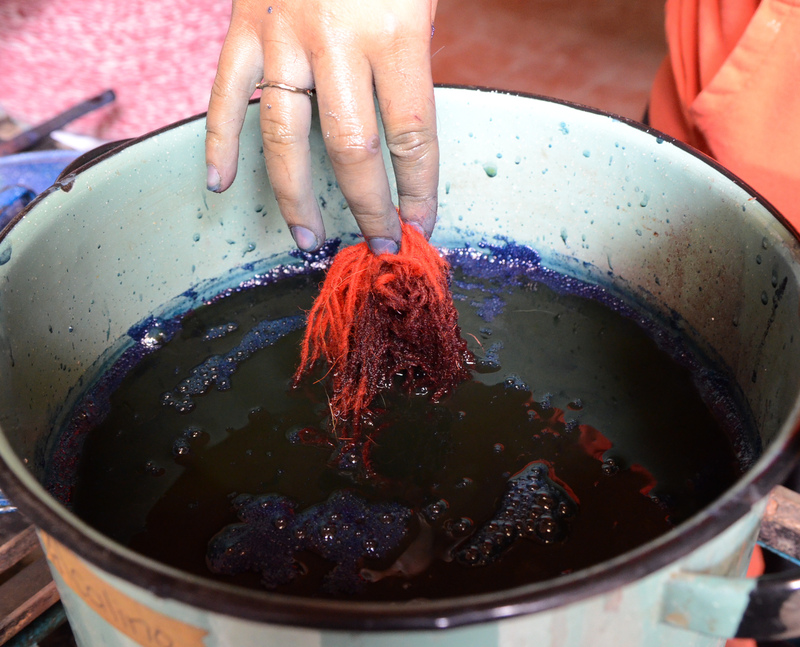 It felt a bit strange….but I would rather my extra monies go towards the artisans that made the things we bought. In many cases the women were deeply invested into bettering their communities and the future of their children, a far better use of money than my limited Spanish bargaining skills. I find that most commonly the bloggers and travelers telling people to ruthlessly bargain are also likely to be the ones buying cheap import goods at a highly touristed market than directly from the actual maker. It’s a frustrating thing to read all over the internet as I believe we generally need less crummy disposable things in our life. Ojala, Miriam. THANK YOU. For your compassion and savvy comments about the value of buying directly from the maker and helping to support improvements in peoples’ lives. When we go to Mexico and Guatemala, we see the disparities first hand — access to better living conditions, improved health care and decent education with books! Ruthless bargaining is another form of colonialism. And, yes, fewer crummy things and a focus on quality. Gracias, Nancy, for publishing this very important discussion about bargaining. In 1963, when I stayed with a family in DF, they taught me to bargain. In recent years, I, too, have felt that it is, truly, shameful for those of us who are privileged, as Nancy and Jill have written. ..a game. When I took friends to villages to meet and see artisans’ beautiful works, I always asked that each person buy something – just as we would pay a fee to enter a museum. Yes, I have purchased much more than my casita will hold, but have had the pleasure of giving away gifts. Yes, it is our way to give back to the wonderful Mexican people and help, in a small way, keep the art form alive. 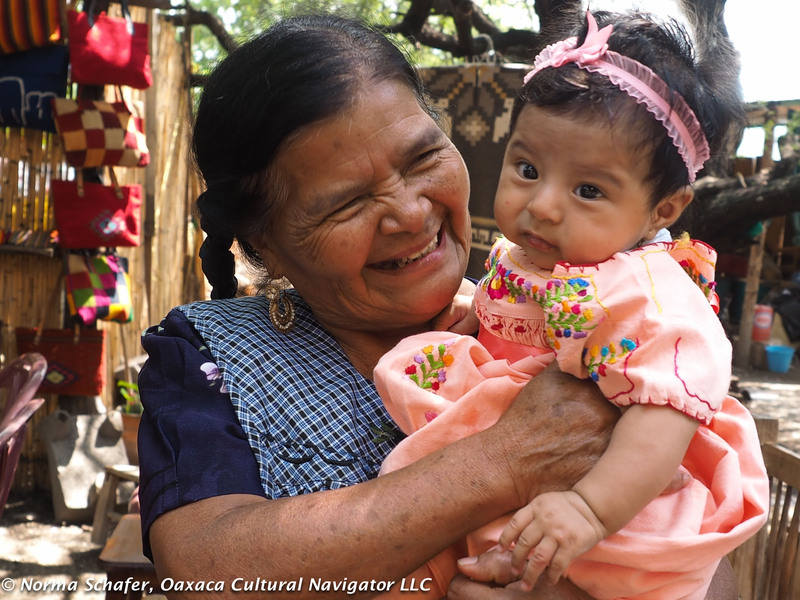 Supporting Oaxaca Street Children, FOFA (Friends of Oaxacan Folk Art, the Learning Center, Libros para Pueblos – all excellent organizations to help, also. I agree wholeheartedly, and thank you for writing about this issue so articulately. As a craftsperson myself, though officially retired, I never bargain with artisans or small shopkeepers in Mexico, and like Jill, if anyone thinks less of me for that, I don’t care. I think some people consider it a personal achievement to bargain a price down, and then later back home enjoy telling friends how cheaply they got something. But it’s not an achievement, it’s just a function of being on the power end of a financial power imbalance. I consider the wonderful items I’ve paid full price for to be fantastic “bargains” in terms of quality, beauty, charm and intrinsic worth considering the money I spent. Everything here is cheaper in general in price. 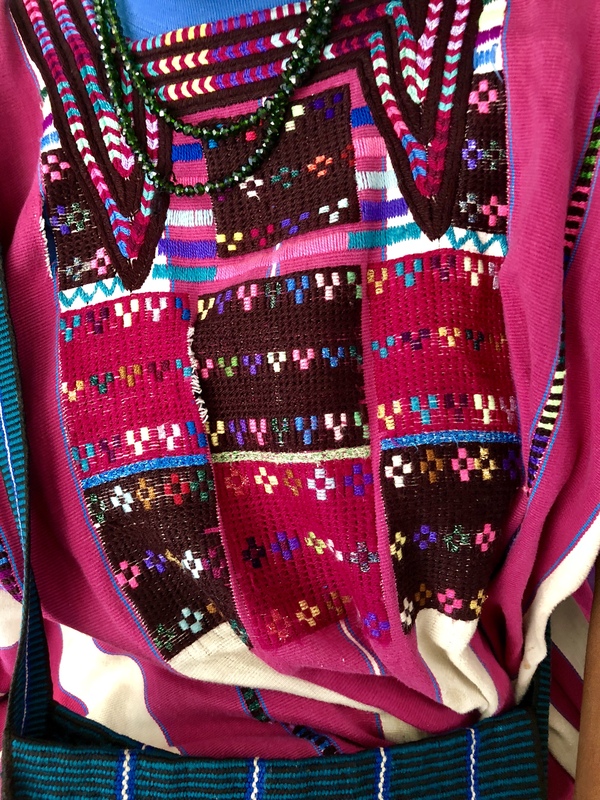 A beautiful hand embroidered blouse in the US would cost $80-100 so i am saving money and supporting artisans and preserving a traditional art. I don’t argue about the price because it usually seems fair. I was embarrassed first time someone tried to pay less when it’s a fine price. It is important to take into consideration the income of an average artisan here. We know they are not getting rich. Most of them are supporting a family and I want to be a part of that, as a visitor. Well said, Nancy. I always remind people who travel with me how privileged we are and how it is a privilege to support artisans for their creativity and labor. Yes, bargaining to get a price reduction of a few dollars is shameful. We should never consider that to be fun. I never bargain in Oaxaca. If an artisan gets more money than he/she expected from me, and maybe even thinks me a fool, I don’t care. I have so much and most artisans have so little. To buy for a higher price is a way to help without the stigma of “charity”. I have bought things I can’t use, or can’t pack to take home, as a thankyou for craft demonstrations. Even if buying from a reseller, rather than the original maker, I think sitting in a market booth for hours is hard work too. Just my opinion. Others may differ. Jill, I’m of like mind. So much economic disparity in Mexico. In Chiapas, I too, bought what I didn’t need and bought more than I knew I should have, to give support. 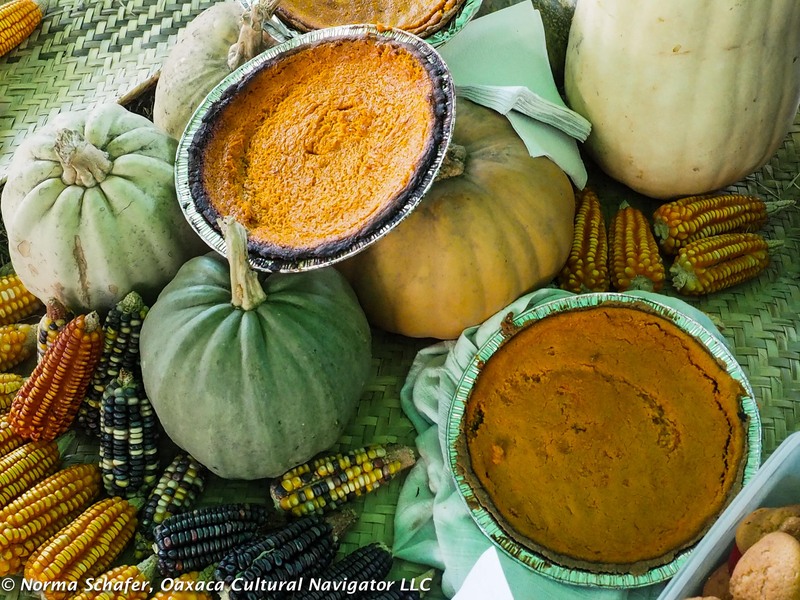 I feel it a moral obligation of thanks to say, I appreciate that you are keeping the tradition going. Which is why I brought 3 suitcases back to NC and will have a sale soon! I know of no other way to support art and artisans than to buy their work at the price they ask. I’m grateful for what they continue to do under often extremely dire circumstances.